After the launch of the Vehicle Extrication Techniques book and iPad app, this practical training guide for rescuers is now also also available for Android tablets. The app promotes a safe and systematic approach to vehicle rescue and explains the concept of extrication planning. It also highlights key medical aspects during the phases of a rescue operation. The book, Android app and iPad app are currently available in English. Other languages will be added later this year. You can buy the Holmatro Vehicle Extrication Techniques app in the Google Play Store at € 14,99 / $ 16,99 (search for Holmatro Extrication). It works on Android 4.0 tablets and newer versions. Go to Google Play Store. 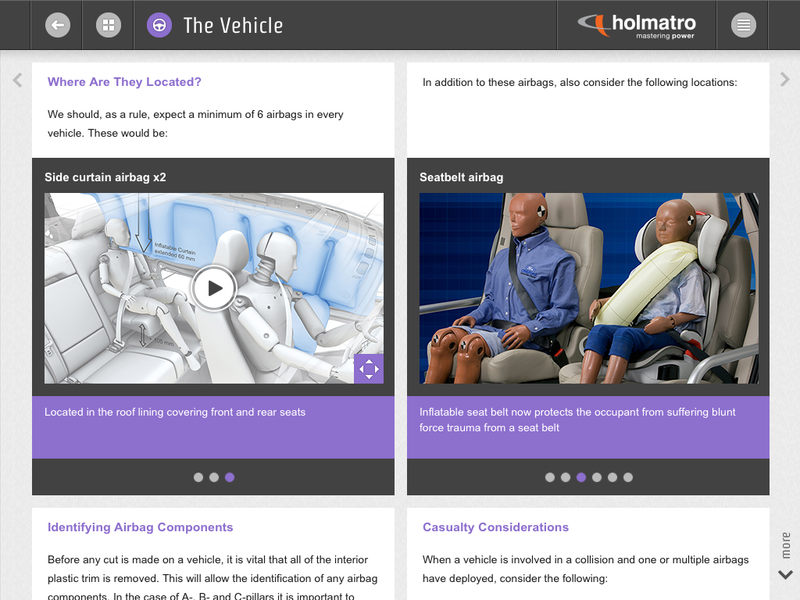 The app is based on the training material presented in the Vehicle Extrication Techniques book, written by Holmatro Rescue Consultant Ian Dunbar. It is a great resource for rescuers of all levels of experience and an excellent basis for training and development. The app is part of the Vehicle Extrication Techniques series: watch the trailer at holmatro.com/en/vet to see what it is all about!